Sometimes it’s better late than never. Over 50 years ago, Forbes magazine made a huge mistake, but it looks like they are finally making things right: The editors of Forbes have decided to retroactively add Frank Langella to their 30 Under 30 list for 1964. This talented young Syracuse grad wowed off-Broadway audiences in a remount of The Immoralist at the Bouwerie Lane Theatre earlier this year. If the rave reviews are any indication, we’ll be seeing this young man on Broadway soon—and perhaps even on the silver screen! There’s no making up for the last half century, but for Frank Langella, it looks like this frustrating chapter can finally come to a close. 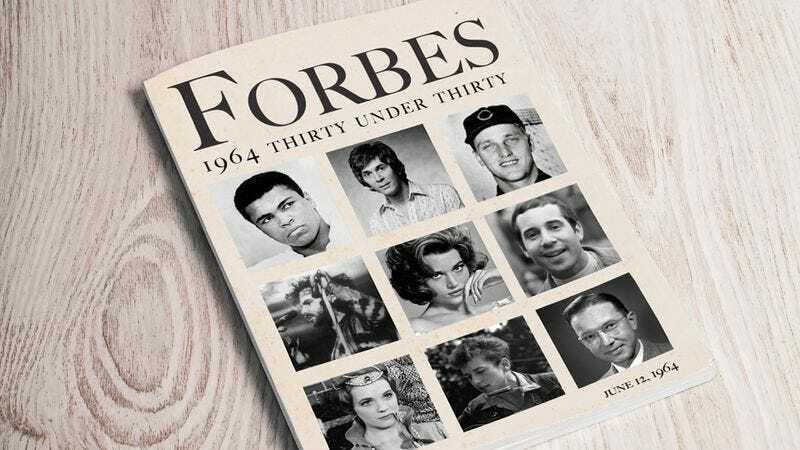 Now that Forbes has fixed this glaring omission, Frank can rest easy knowing that he is being recognized as one of 1964’s rising stars. Being named on this list is a huge honor and career booster for any actor, and we can’t think of anyone more deserving of accolades in the mid-’60s than Frank Langella. Way to go, Frank! We knew it was only a matter of time. We can’t wait to see all of the things you accomplish next!